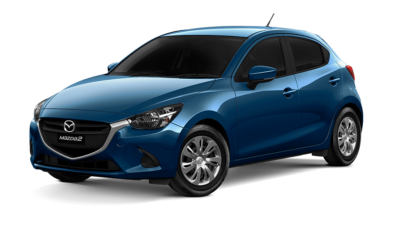 The all new Mazda 2 brings you chic style, while SKYACTIV TECHNOLOGY unlocks quick-witted agility and outstanding fuel economy. With city smart sophistication and the most advanced safety features in the market, the new Mazda 2 is a compact vehicle that has stepped things up. The new Mazda 2 is light on its feet, smooth-riding and sporty good fun. 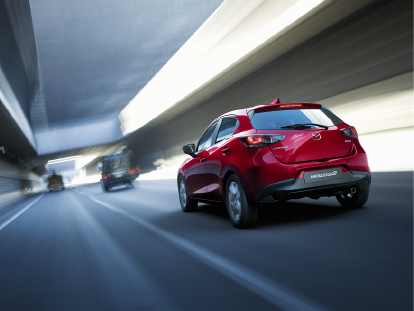 The 1.5 litre petrol engine gives you lots of go, yet uses minimal fuel, perfect for inner city driving. With the choice of a sedan or hatch model, there’s never been a better time to get behind the wheel of a Mazda 2.